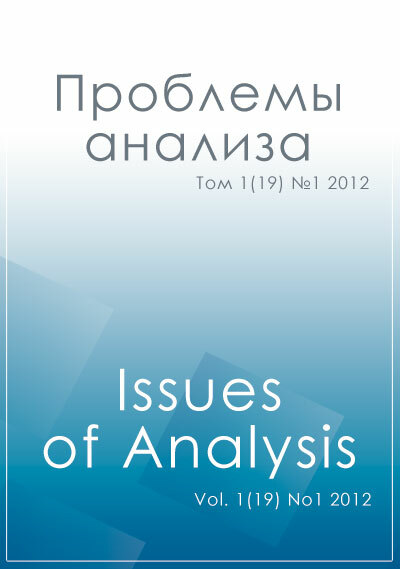 The Journal “Problemy Analiza - Issues of Analysis” follows up the journal “Proceedings of Petrozavodsk State University. Mathematics” (“Trudy Petrozavodskogo Gosudarstvennogo Universiteta. Matematika”). The journal publishes original research mathematical papers in all fields of analysis and its applications. The submitted papers pass through the peer-review process (single blind model). The journal publishes papers in English. The published papers are available in open access on issuesofanalysis.petrsu.ru. The journal is included in Scopus (since 2016) and Web of Science Core Collection (ESCI) (since 2015). The journal is financially supported by Petrozavodsk State University.